Yahtzee is a dice game. The game is played by rolling five six-sided dice to make certain combinations. The dice can be rolled up to three times in a turn to try to make one of the thirteen possible scoring combinations. During each turn a player can “freeze” one or more die and roll the others. A game consists of thirteen rounds during which the player chooses which scoring combination to pursue. At the end of the thirteen rounds, the player with the highest score wins. Why, you might ask, am I telling you this? At its core, Yahtzee is a game of chance. 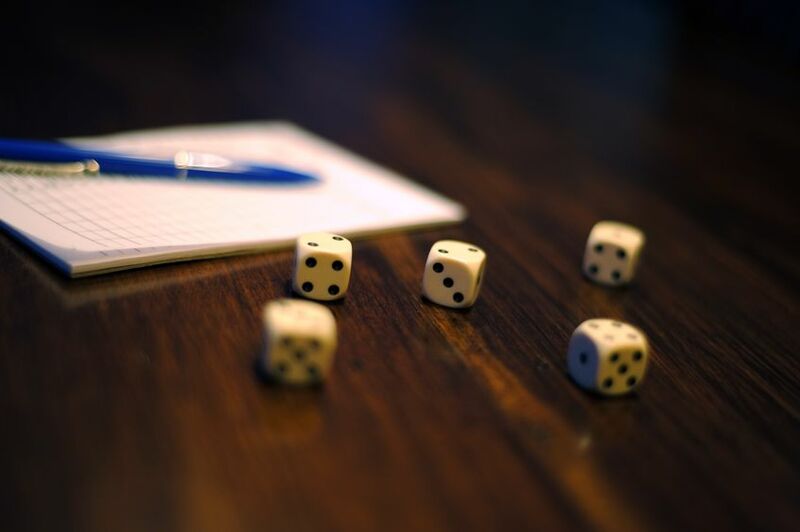 Each time you roll the dice there is a certain probability that a certain number will come up on each die, and each time you choose to “freeze” one of the die you are changing the probability that you will reach a favorable outcome. I love the game of Yahtzee. Despite the fact that it’s a game of chance, you do have some control over the outcome. You know the patterns you are seeking to create, and you may even have a sense of whether there is a high or low probability of achieving a desired outcome by making certain moves. If you’ll allow me to oversimplify, there are really two ways to play Yahtzee. One is to try to control the game. With each roll you carefully look at all your options and try to calculate what you should do to give you the best probability of achieving the highest possible score. The other way is to “go with your gut”. When you play the game this way you look at the dice and get a feel for what might be possible. What you feel may or may not be highly probable, but you go with what you feel will happen. I’ll let others debate which method is better. The answer to that question probably lies in why you’re playing the game in the first place. What I’d like to talk about is how it feels to take a chance. I am, by nature, a cautious person. I am like the man who plays Yahtzee by calculating every move, weighing every probability, and trying to give myself the chance to achieve the highest possible score. My wife, on the other hand, is more willing to go with her gut. She does things I would never dare do. Well, almost never. As my wife and I played Yahtzee I started to notice how much fun she was having. How every roll of the dice seemed to be an adventure, and every success a party! I found myself wanting to experience the game in that way, too. So I decided to play the game the way my wife does, and you know what – it was fun! There’s something special about trying to do something that has almost no chance of succeeding – and then watching it happen. Life is, in some ways, a game of chance. Some of us like to calculate, and some of us like to go with our gut. None of us knows what’s going to happen next. If you haven’t taken a chance in a while, go do it – you never know what might happen!